Sri Lanka massively spoils its visitors with its natural beauty, from whale watching in Mirissa to amazing jungle safaris. If that wasn’t enough, these are just two of the amazing things to do in Sri Lanka. But let’s be honest, there are two main animals that everyone wants to see above the rest, elephants and Sri Lankan leopards. This guide, to the best Sri Lanka safaris, will point out the very best places in Sri Lanka to see these two majestic creatures. 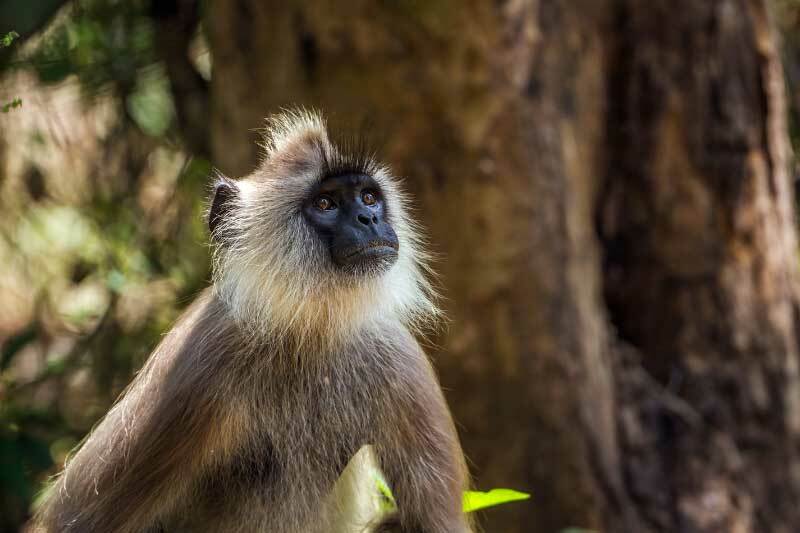 That being said, the Sri Lanka safaris pointed out in this guide just happen to also be some of the best parks to see all the animals you could ever want to see in Sri Lanka. So have a read and find the best safari park for your needs. You’ll be treated to incredible natural animal behaviour, amazing Sri Lankan food and some truly spectacular landscapes! READ MORE: The Ultimate Guide To Backpacking Sri Lanka! 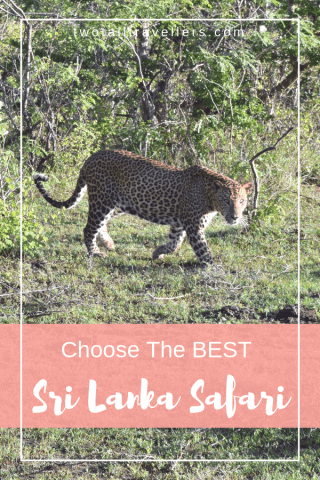 What Sri Lanka Safari Is The Best? Yala National Park is by far the most visited and most famous safari park in Sri Lanka, this has to be because it has the highest density of the coveted Sri Lankan leopard anywhere in Sri Lanka. 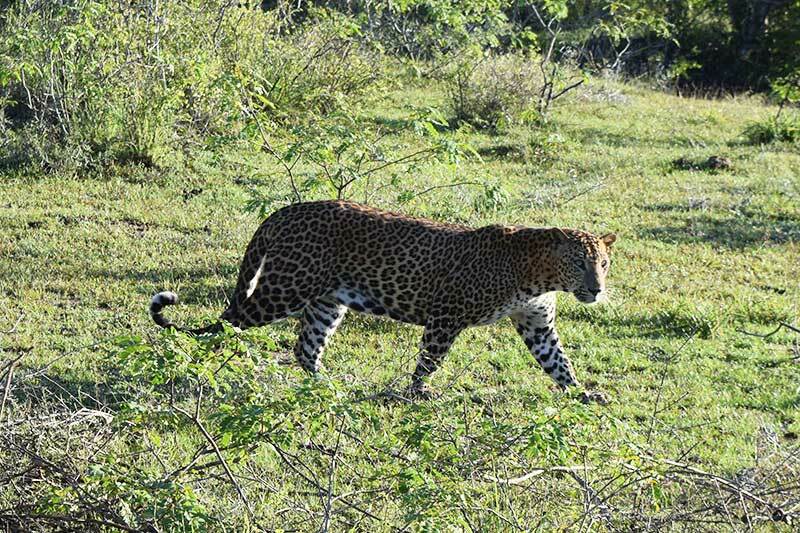 If you want the best possible chance of seeing the Sri Lankan leopard then Yala national park is the best place for you. 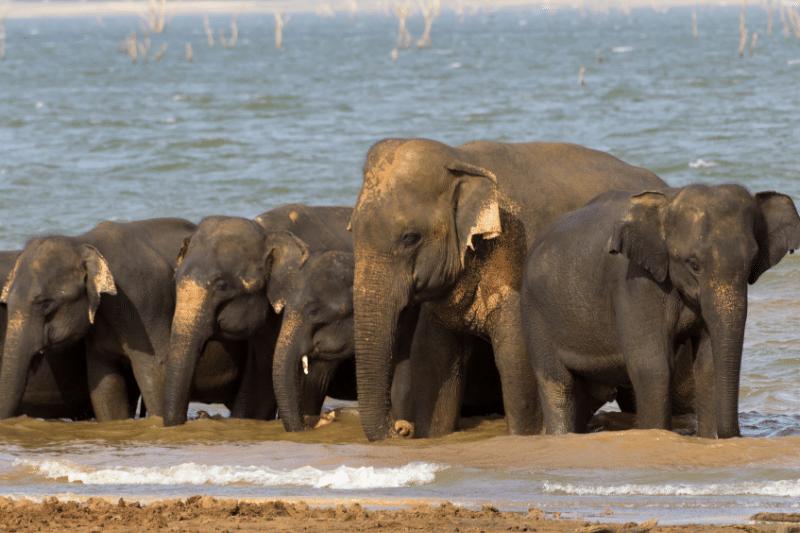 The Wilpattu national park is a close second but the chance of seeing one is just a little better in Yala national park. Not only do you have the best chance of seeing a Sri Lankan leopard, but you also have a very high chance of seeing elephants. 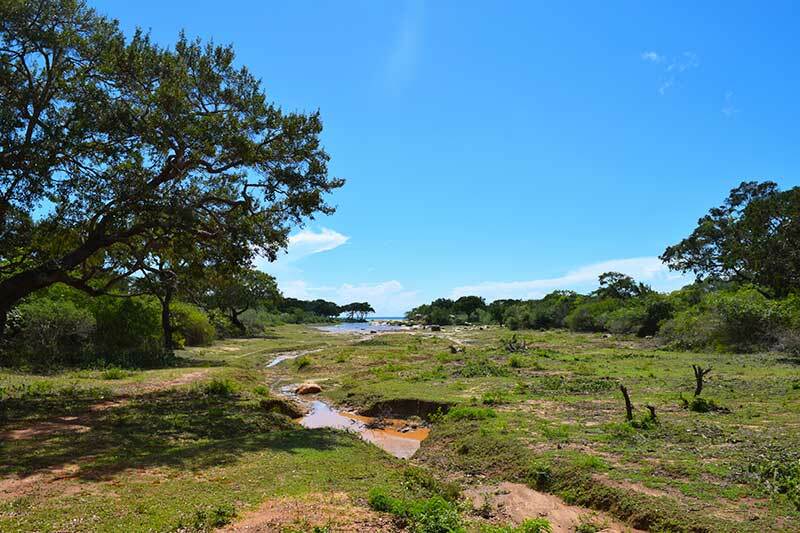 We went during a period of time that Yala national park was experiencing a mini-drought. This meant that the elephants were further inside the park around the permanent lakes and not need the main roads. Even then, we still managed to spot a lone male grazing in amongst the trees. 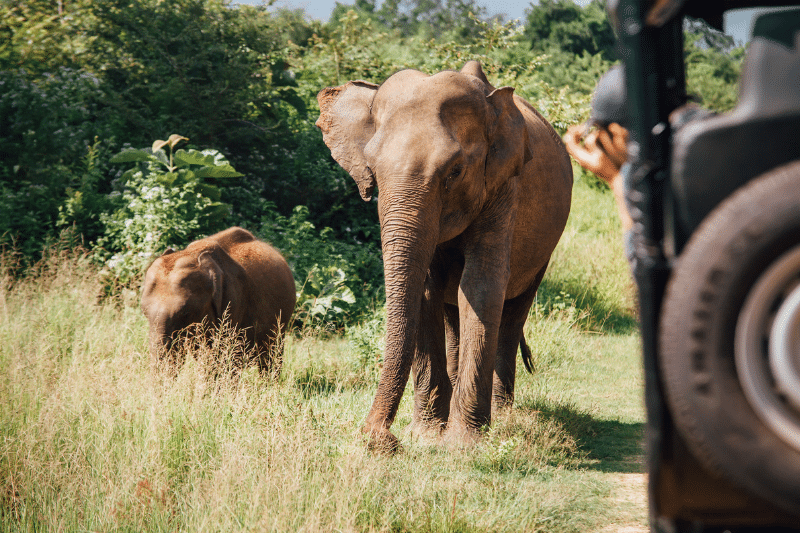 If you go to Yala when there are not experiencing a drought then you will certainly see herds of elephants roaming around the park in plain sight. We were trundling down the road when our driver heard the distress call of a deer. This means that they are warning other deer nearby of a predator – a leopard. So he stopped the car and said we were going to wait. We were there for maybe 40 minutes. In this time I can’t tell you how many jeeps stopped and left. It was near the beginning of the safari so there were a lot of jeeps around as they had not yet gone their separate ways. In the end, I would say there were only 4 jeeps remaining with maybe 30 stopping and carrying on. Even I started to wonder if we had wasted our time. Our guide said sightings like this happen to him only once a month and he is there every available working day. It was only possible because we did not have a tight limited schedule; our tour guide had the flexibility to make the right call. All of the other jeeps and vehicles had to get around the park in a short amount of time, they didn’t have the luxury to wait and see. Furthermore, we went on to see nearly every animal the park had to offer and were the only people who saw an elephant out of all the jeeps we spoke to. Lastly, if you go on a short Yala safari then most of your view, for the whole day, will be the back or side of another jeep. If you go on the 12-hour safari then you will only experience this for a couple of hours, you will then be too deep into the park for all the other jeeps to follow. We didn’t see another jeep for hours at a time! It’s not just the animals that make Yala national park amazing. I understand that 12 hours is a long time, it doesn’t feel like it when you’re on the safari but it is still 12 hours. There are a few reasons why it may not be ideal for you. I still highly recommend the 12-hour safari but have a think if any of these things relate to you personally. If you have back issues I believe that the 12 hours of rough riding would make the experience difficult. If you go with Shehan Safari, the company I personally recommend, then the jeeps are very good. At the end of the day, it is still off road so consider whether your back can handle it if you have issues. Are on a tight budget? The all-day safari can be quite a financial commitment. 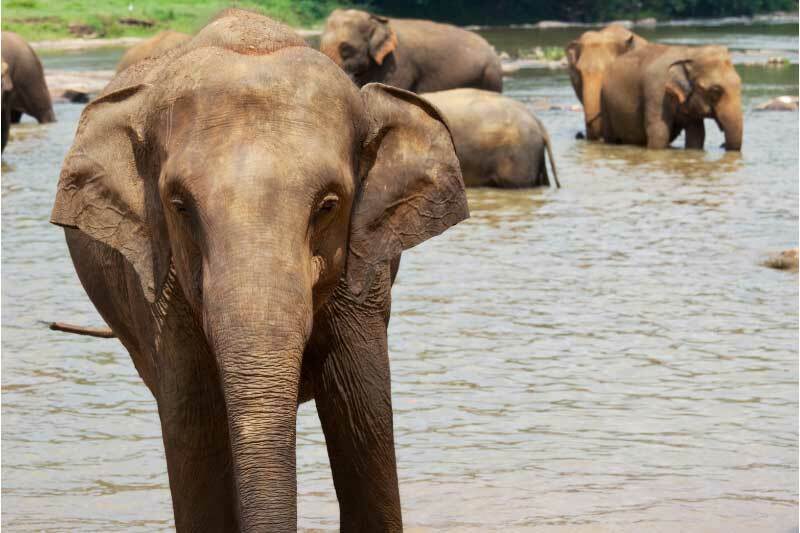 Obviously, I strongly believe that the 12-hour safari is significantly better value for money because of the increased chances to see the animals, but if you simply can’t afford it then the shorter Sri Lanka safaris may be better suited. If you are with children it might be sensible to go for the shorter trip. It’s a long safari and inevitably there are occasions where nothing happens for a considerable time. Depending on the age of your children they might get restless and bored during these periods. No parent wants to be sat in a jeep that you cannot leave for hours with a restless child. If you do not fit into the above categories, please go for the all-day safari. You won’t regret it. Hopefully, you get as lucky as we were! I was very sceptical when first hearing about safaris on an island as I assumed it would be smaller with fewer animals. I could not have been more wrong. We travelled around Yala for 12 hours, stopping for an hour for lunch. So, we had 11 hours of constant safari, never visiting the same place twice. And to put it in perspective, Yala has 5 ‘blocks’ and we were only allowed to visit ONE of them. 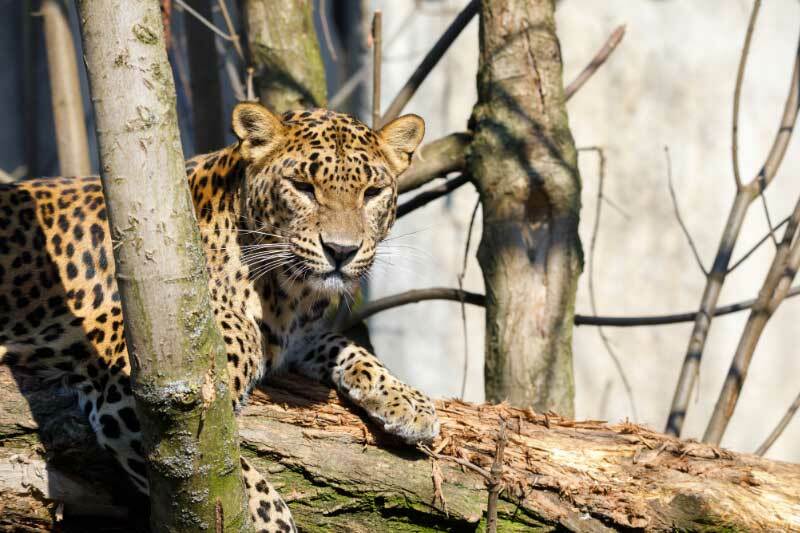 You will have the best chance to see the Sri Lankan leopard. You will also have a very high chance of seeing herds of elephants. 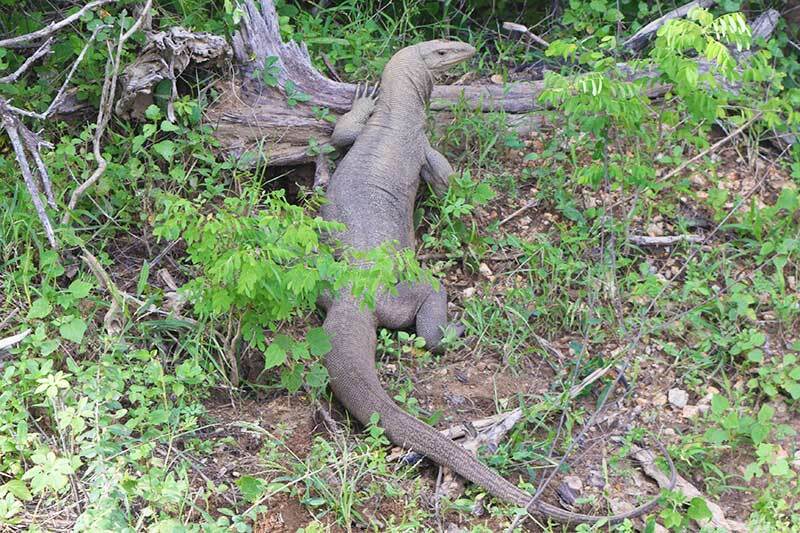 Yala is so large that nearly all of the large animals you can see in Sri Lanka are available to see in Yala. The size allows you to get away from the crowds if you get the 12-hour safari. If you get a half day or shorter tour, you will be surrounded by many jeeps for the entire safari. Yala national park is in the south-east of Sri Lanka so it is one of the furthest from Colombo international airport. If you are specifically looking for elephants, Yala is very good but Udawalawe National Park and Minneriya National Park are better. These prices can vary depending on whether it is a private tour or add-ons. Shop around for the best deals and make sure any company you use has the best reviews. If I have convinced you that the 12-hour tour is for you, then I highly recommend the company Shehan Safari. You can easily book with them directly and I recommend you do so before you get to Sri Lanka. If the full day tour is a stretch then Shehan Safari also have 5-hour and 7-hour tours available. The best time to visit is February – June as this is the dry season so it is easier to spot the animals in the few watering holes. Do not try to visit in September because the park may be down for maintenance in this time. If you see a buffalo then they will probably be lazing in a pool. The best place to stay, to catch a safari to Yala national park, is Tissamaharama (AKA – Tissa). Tissa is a nice enough town but I wouldn’t recommend staying there for much longer than the tour itself. Just down the coast is a beautiful town called Mirrissa and I highly recommend that, after staying in Tissa for the safari, you move on to Mirrissa. If you are looking for a hostel to save some money then I personally recommend Leonine Villa and if you’re looking for a hotel then I recommend W Villa@Yala. 05:30 – Your driver picks you up from the hotel. This is for ‘all day’ and morning safaris. 06:00 – Enter the park to begin your morning game drive. This will take you until lunch. 12:00 – Lunch by the sea. There were a few jeeps down by the beach so I think everyone who is on an all-day safari goes to the same place for lunch, regardless of the company. 13:00 – Afternoon game drive. For ‘all day’ safaris and afternoon safaris. 17:00 – 17:30 – Leave the reserve and go back to the hotel. People who go to Udawalawe national park go for one reason, the elephants. 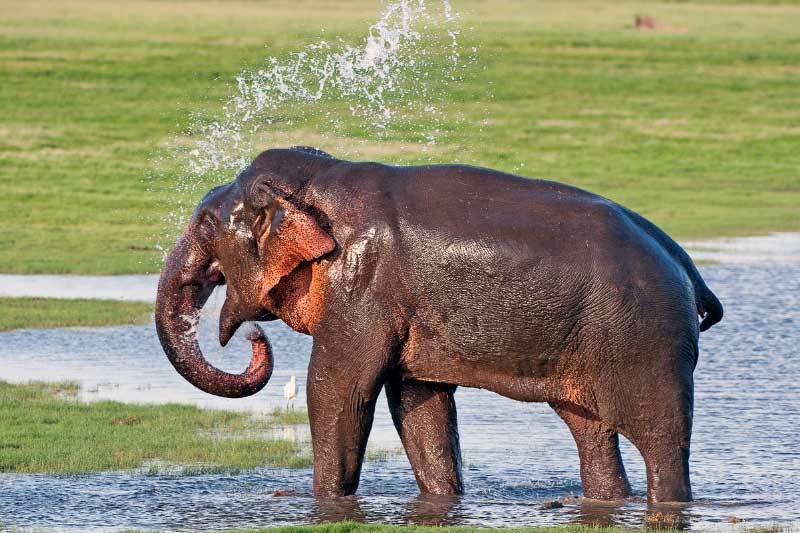 Along with Minneriya National park, Udawalawe is the best place to see the large majestic mammals in Sri Lanka. The reason for this is the large man-made lake that is permanently present in Udawalawe. What makes Udawalawe special is that the elephants very often come very close to the vehicles, maybe the best overall experience, with elephants, Sri Lanka has to offer. Udawalawe national park differs slightly to some of the other parks in Sri Lanka as it is mostly open grassland, the others being a mix of jungle and dense bush. This has its benefits, being able to capture some beautiful Sri Lankan landscapes being one of them. Accommodation is very close to the park entrance so you don’t have to drive very far in the morning, this allows you to get up a little later than other Sri Lankan safaris. 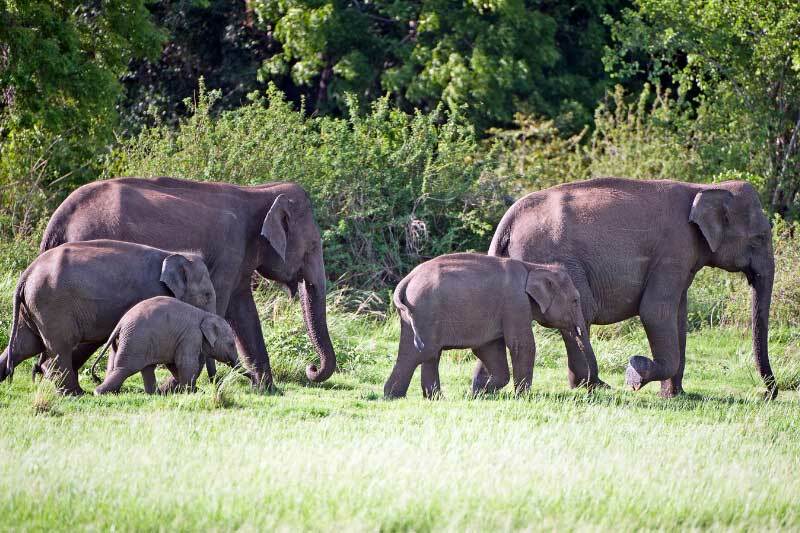 The best national park in Sri Lanka for up close and personal experiences with elephants. Open grassland is the scenery on offer, in Udawalawe national park, which allows for some amazing pictures. Open grassland also means that animals are easier to spot. Not as visited as Yala National park so you don’t get as many jeeps clogging your view. That being said, this can be the total opposite if you go on a busy day where there are jeeps everywhere. I would say that there is less of a chance, at Udawalawe, to be stuck in traffic. Really difficult to see a leopard. If you see a leopard at Udawalawe then you have been very lucky. If you are looking for an experience which gives you a good chance to see both, elephants and leopards, then Yala National park is the better choice. The Udawalawe national park is smaller than a lot of the other parks so this may impact how much you get to see. There are reports that the roads are quite bad in areas, I wouldn’t consider this a negative because you are on safari but it has been said. The half-day tour can range from $25 – $70 depending on whether you are happy with a large group of people. I prefer smaller more personal experiences but that’s up to you. The full-day tour ranges from $50 – $100 for the same reasons as above. The best time to visit is June – October as this is the dry season so it is easier to predict where the animals are going to be due to the fact that a lot of the water holes have dried up. One of the best things about Udawalawe national park is the fact that accommodation is basically right outside the door. If you like your beauty sleep, as I do, then your morning won’t be as crazy early as it will be elsewhere. If you’re looking to save some pennies then the best budget accommodation in all of Udawalawe has to be Nature Lovers. How can you go wrong with $6 for a private room and a double bed?! If you’re looking for a bit of comfort then I highly recommend taking a look at Delo Lanka. There aren’t any hotels in Udawalawe that I would call real luxury but Delo Lanka certainly is one of the nicest. 05:30 – The driver will pick you up from your hotel and drive you up to the park entrance. 14.30 – Afternoon and Evening game drive. 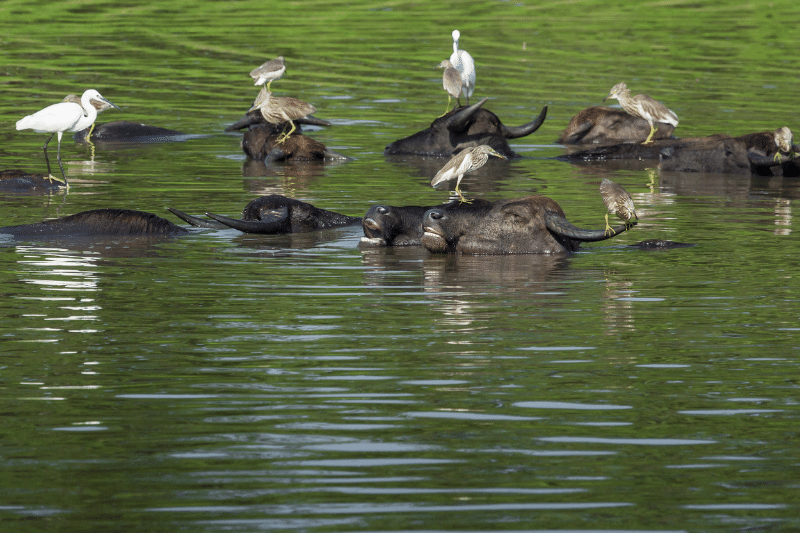 The Itinerary for Udawalawe National Park is very similar to the other Sri Lanka safaris available. Wilpattu national park is considered to be the most beautiful national park in all of Sri Lanka. If you want to lose yourself in the quintessential luscious green jungle experience then this is the place to do it. 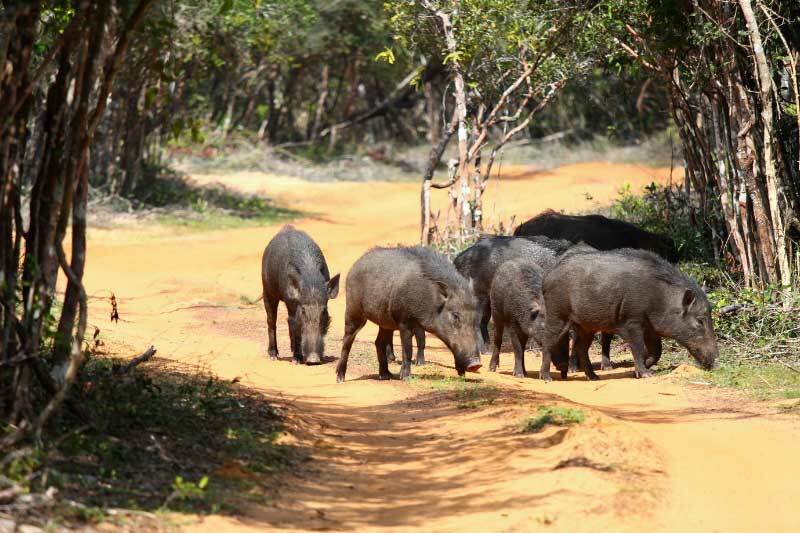 Wilpattu national park has an extensive gravel road network which makes it one of the best safaris in the whole of Sri Lanka for people who have back issues. It also makes the experience a little more pleasant as you don’t constantly feel like you’re about to tip over! The whole place is famous for its incredible wetland scenery, lakes cover the landscape making it very easy to spot and drive up to the local wildlife. Wilpattu national park is the largest and one of the oldest parks in all of Sri Lanka, and it has a leopard density just below that of Yala national park. If you are looking for leopards and elephants then this is one of the best places in Sri Lanka to see both. 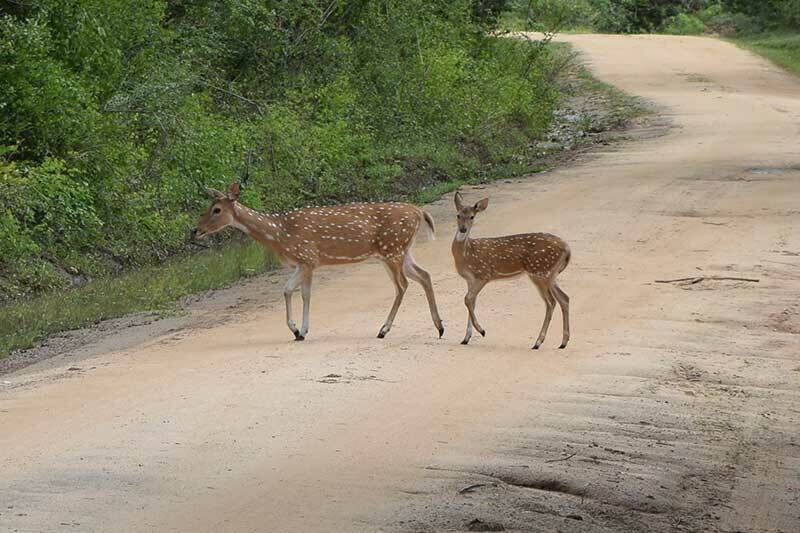 Wilpattu national park has an extensive road system that helps safari goers enjoy the experience better than other Sri Lanka safaris. The park has many lakes and watering holes with gravel roads near, this helps find animals, that are drinking, very easily. One of the parks least affected by human influence. Not as busy as the southern safaris so there are fewer jeeps on the road to spoil your view. One of the most beautiful places in all of Sri Lanka. The elephant population is slightly less than other parks. If you are trying to get the best elephant experience you can then Udawalawe and Minneriya national parks are better. A lot of the major tourist spots in Sri Lanka are in the south, Wilpattu is in the north so if you are in Sri Lanka for a short time then you might not have time take the detour. There aren’t many negatives about Wilpattu, I recommend getting up there to see it if you can. For a half-day tour with a reputable company, you are looking at around $65-$103. The price drops considerably per person the more people that go. For four people the price is $65 per person and so on. I highly recommend going in a couple to a maximum of 4 people to make it more affordable. For a full-day, it is around $70-$144 per person depending on how many people you have. Wilpattu is reportedly very good all year but the prime times are from February – October. 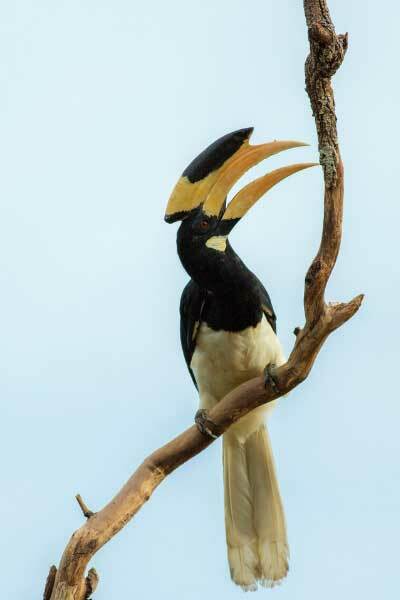 You are going to want to be near the main gate to the east of the Wilpattu national park. The best budget room is situated right outside the entrance, Wilpattu Dolosmahe. You will probably only stay here for a couple of nights, before and after your safari experience. If you really are looking for some luxury or you’ll be staying a little longer and the budget isn’t too much of an issue then I highly recommend Wilpattu Treehouse. They have some beautiful treehouses right outside the park entrance, perfect for a couple on a romantic retreat. READ MORE: The Perfect 10 Days In Sri Lanka! 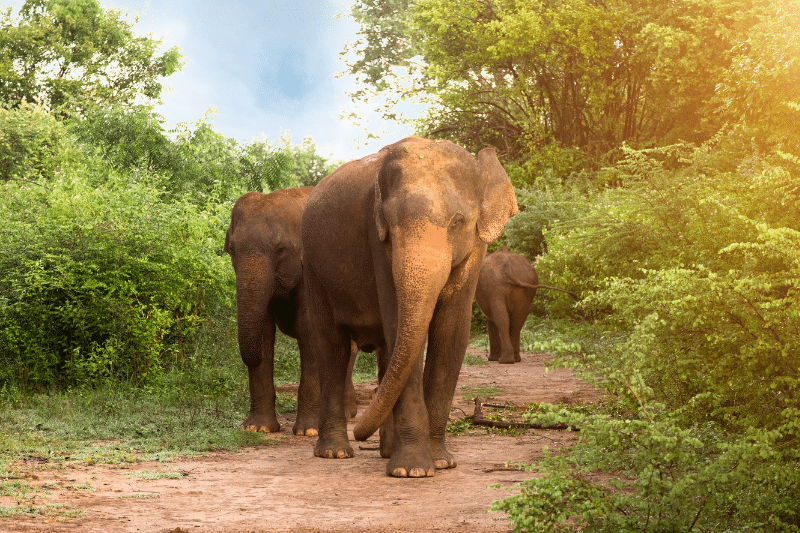 Minneriya National Park is the single best place to see elephants in Sri Lanka and is one of the best places in the world. If you go at the right time of the year you will be able to see the largest gathering of Asian elephants recorded in the world, around 400! I would still say that the best elephant experience in Sri Lanka is at Udawalawe national park because of how close the elephants get to the vehicle. That being said, if you want to capture one of the most spectacular elephant encounters on the planet, then Minneriya national park is the place to go. I would not go for the full day safari at Minneriya national park because you get to see everything you want to see within a few hours of being inside. It has the largest gathering of Asian elephants anywhere in the world. 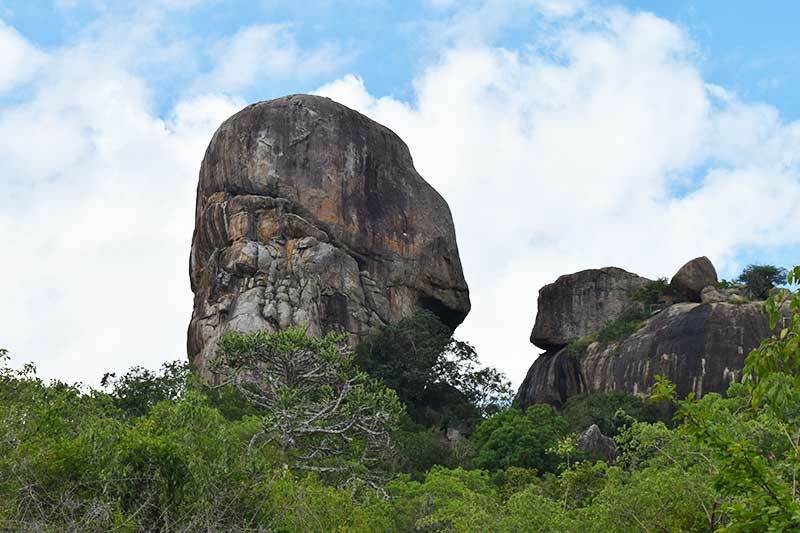 Minneriya national park may be the worst place in Sri Lanka for the number of jeeps around the animals. There are reports of up to 250 jeeps in one place at one time. More should be done about reducing this ad educating the drivers about the animals. Not the best park, by a long way, to see any of the other big 4 animals that most people want to see. For a half day tour, it is around $110-$140 for two adults. Do not do a full day tour at Minneriya because it isn’t worth it. The best time to go to is July – October. This is when the elephants are at there most active and you are able to see the huge herds by the water. A fantastic way to get around Sri Lanka is to stay at homestays. If you are looking to save a little money or you are on a strict budget then I recommend Habarana Dulwan guest house. If you are looking at staying near Minneriya national park for a few days and would like a little more comfort, then I recommend Rimaka Village. All of these animals are available to see at the 4 best Sri Lanka safaris I have listed above. The chance of seeing them is very different from park to park so consider which park you want to go to if there is a particular animal or group of animals you want to see. I haven’t listed every single animal you can see for obvious reasons but I reckon I have listed the best in my opinion. The number one most sought-after animal in the whole of Sri Lanka. The Sri Lankan leopard is native to the island and is the only place to see it in the wild, to make matters worse, it’s also one of the hardest to spot. The best place to see one is definitely in Yala national park but Wilpattu is a close second. You will be very lucky if you manage to spot one in either Minneriya and Udawalawe national parks. The biggest thing to remember about these amazing creatures is that a lot of people that go on safari in Sri Lanka never see one. Do not be disheartened if you don’t, just maximise your chances by going to the best national park. The world is in love with elephants and, when you get up close and personal with one, you can see why. These majestic creatures are very humbling to be near and really move most people who get to see them. When an elephant looks at a human they get the same brain chemistry as when we look at a baby animal, like a kitten or a puppy. Yep, that’s right, elephants think we are cute. 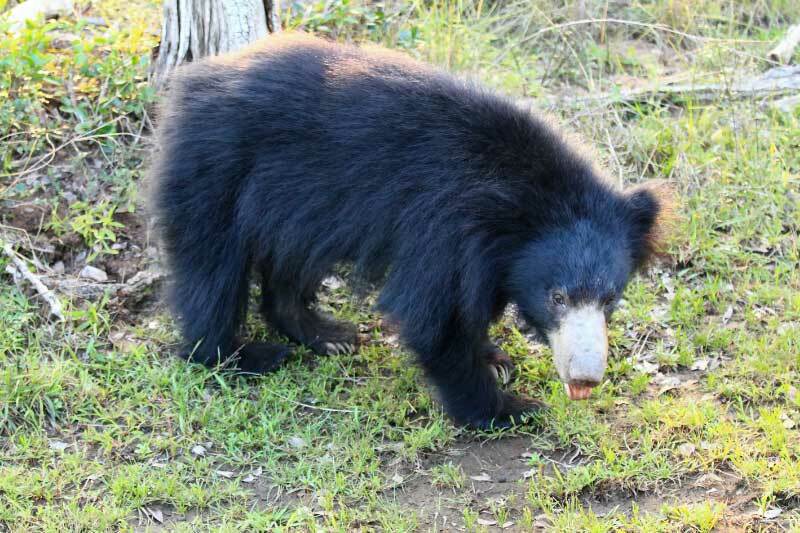 If you see a Sri Lankan sloth bear then you have truly been amazingly lucky. At all of the Sri Lanka safaris, the Sri Lankan sloth bear is one of the hardest to spot due to their wide-spanning rarity. 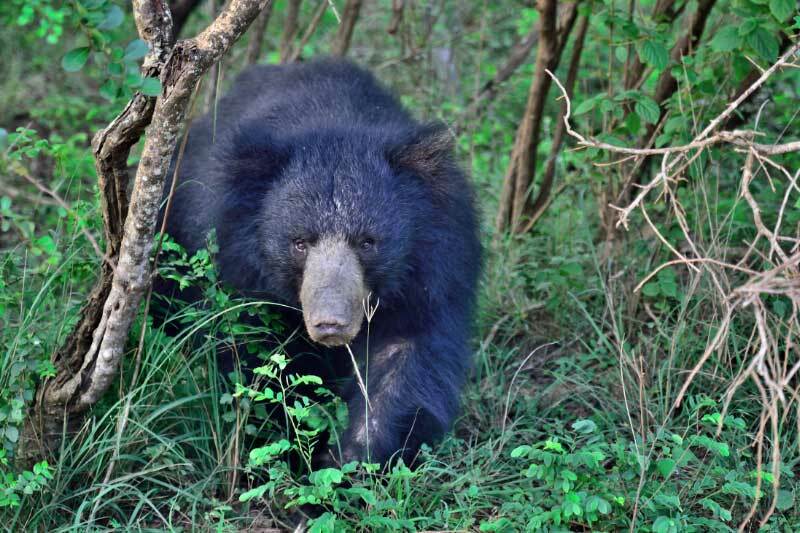 It is much harder to spot a Sri Lankan sloth bear than a Sri Lankan leopard, and that’s saying something. The peacock is a favourite wherever you are in the world. 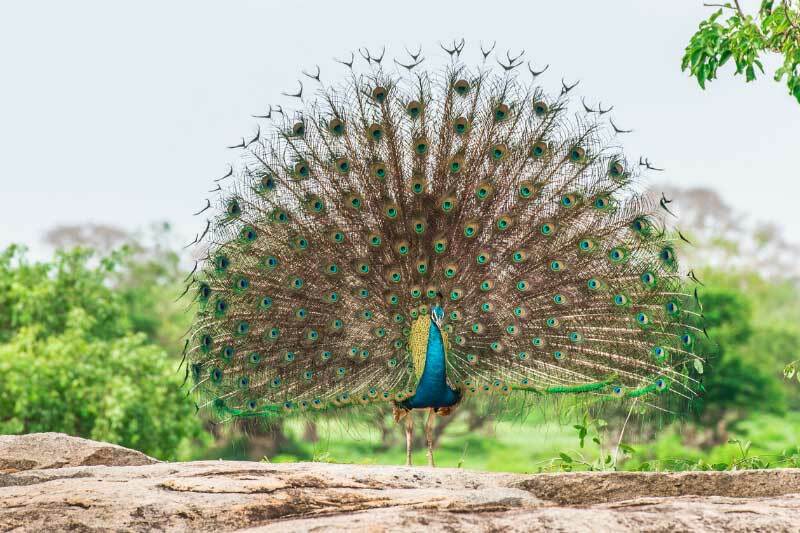 Hopefully, you’ll be lucky enough that the light falls at the perfect moment when a male decides to show his plumage. The pictures you can get are timeless. 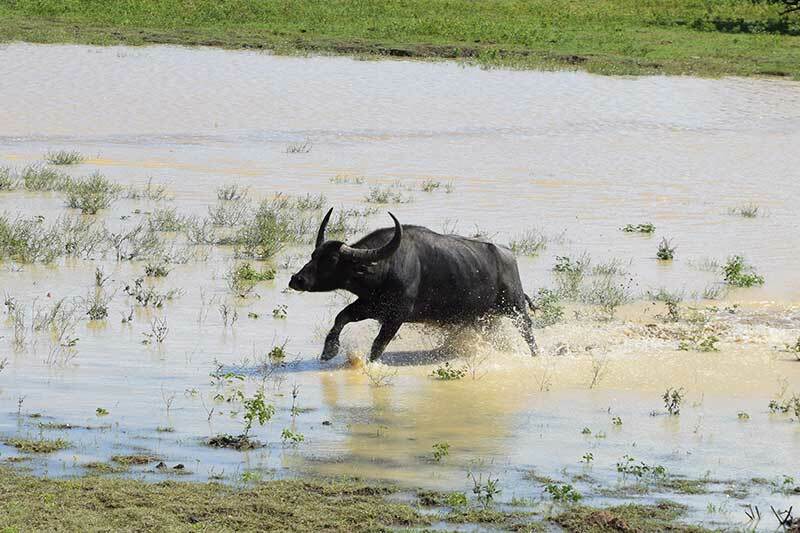 We were lucky enough to see a water buffalo on a charge through some water, the power of these large creatures is inspiring. If you do see one then they will almost certainly be head deep in a mud puddle relaxing. 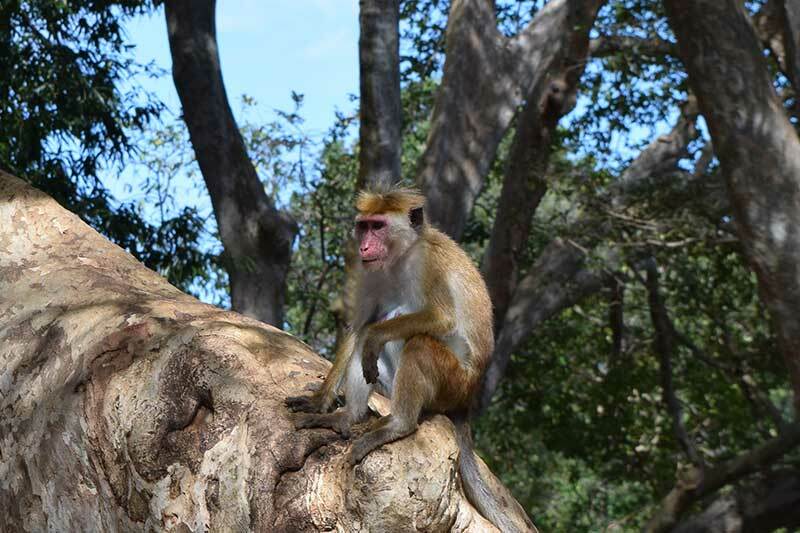 The most common monkey throughout the Sri Lanka safaris. They don’t really care about human intrusion so you may get lucky and have a close encounter with one. You’ll almost certainly see quite a few on whatever safari you go on so grab some pictures because these monkeys love to pose. Most people see these dear as one of the more boring animals you may see on your safari. We got to see a mother protecting her baby on the road and we fell in love with their underappreciated story. They really are beautiful and you can capture some lovely pictures of them on any of the Sri Lanka safaris. I have fallen head over heels with these beasts since living in Australia for a year and didn’t appreciate them as much when I was in Sri Lanka. They are one of the only creatures in the whole world that actively see humans as prey. Sharks attack humans by accident and usually let go, poisonous animals only ever kill because they are frightened and lions maim and kill out of protection, to name but a few. 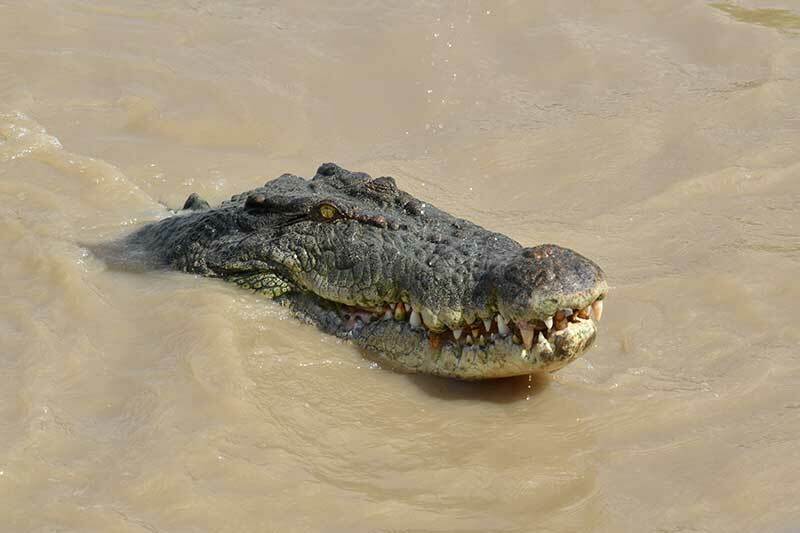 Saltwater crocodiles hunt us and they are very very good at it. 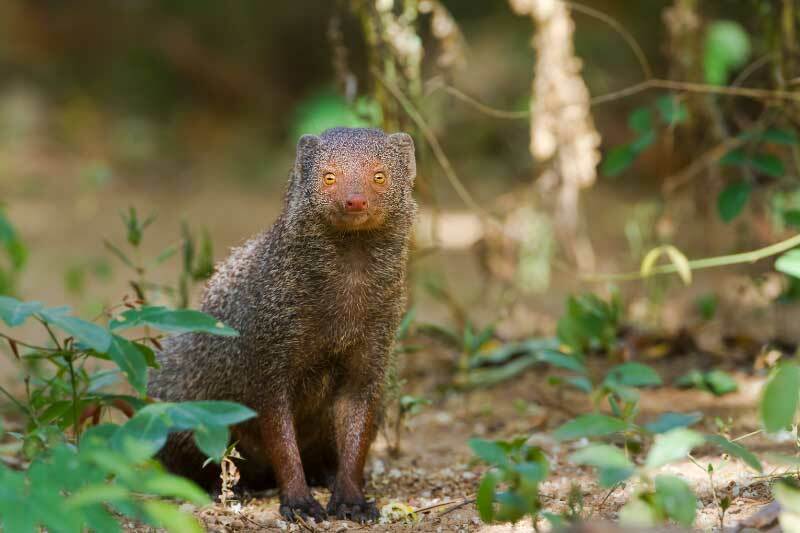 One of the oldest predators on the planet, these monsters deserve to be on your list of must-see animals in Sri Lanka. Just to let you know that this question is entirely subjective to everyone’s own needs. I couldn’t possibly tell you which Sri Lankan safari to go on without knowing exactly what you want to see. So, I have broken it down to make it easier for you to decide which one is going to be the best for you. Yala national park is the best and Wilpattu national park is a close second. 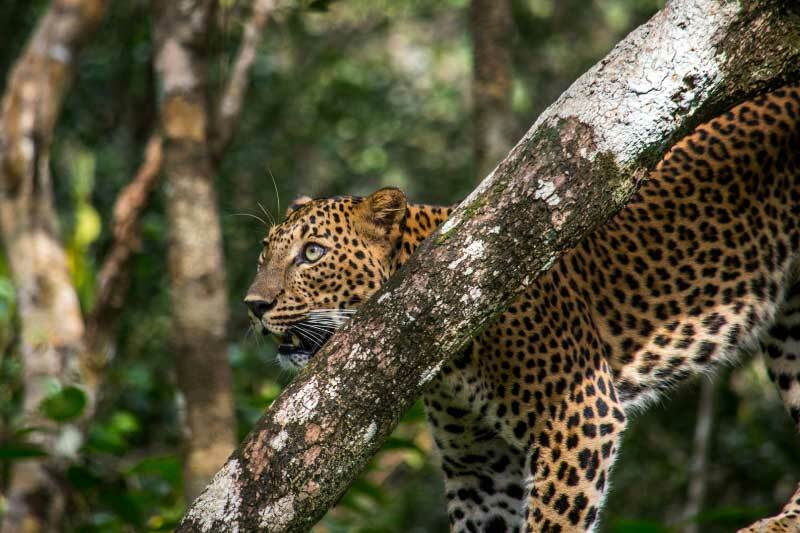 If you really just want to see a leopard then go to Yala, if you are going to be staying for a few days and maybe going on a couple of safaris in one location, then I highly recommend Wilpattu for Sri Lankan leopards because of its superior natural beauty. 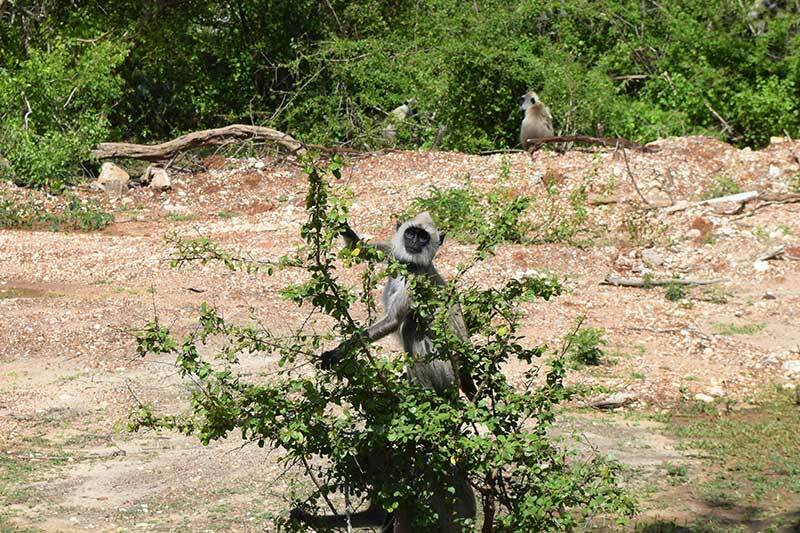 I reckon Udawalawe national park is the best because there are fewer jeeps there than Minneriya national park and this means you get a much more personal experience with the animals. Having fewer jeeps is also much better for the elephants themselves so that’s a huge bonus. Obviously, any of the safaris you go on in Sri Lanka will be off-road in areas and never entirely smooth, however, Wilpattu has the best infrastructure in terms of roads. If you have back issues, or other issues affecting comfort sitting down, then Wilpattu national park is by far the easiest on the body. I also recommend getting the half day or shorter safaris, in this case, to maximise your enjoyment. For me, Wipattu national park has to be at the top. It has the most beautiful landscapes and offers a good to high chance of seeing all of the most popular animals. Yala is in second mainly because it is slightly less beautiful and has more jeeps spoiling your view. If you are in the south, Yala national park is still an awesome option and you will love it. It’s a close one but Wilpattu national park wins again, with Yala national park in a close second. Yala is only very slightly cheaper than Wilpattu and that still depends on whether you get a good deal or not. So if you go by both parks being similar in price then Wilpattu beats Yala because the park is just nicer to look at. Yala is definitely beautiful, just it is covered in shrubs and dry bush so it doesn’t look as appealing as Wilpattu. 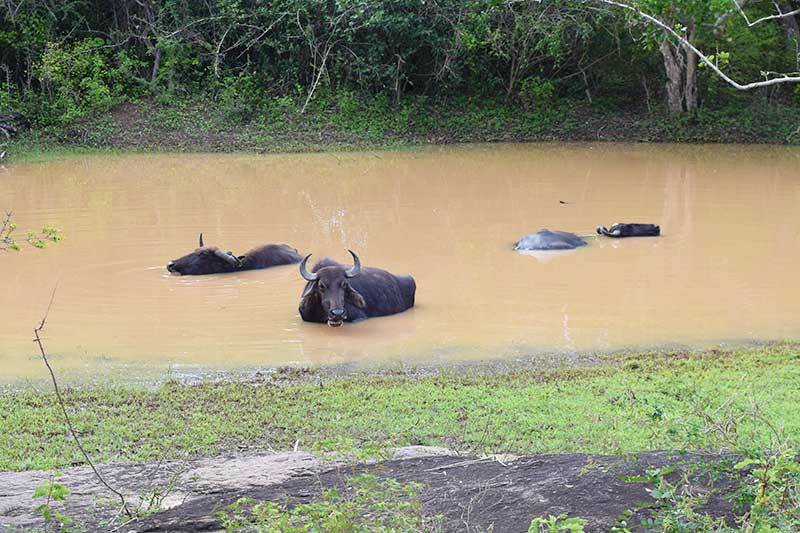 Udawalawe and Minneriya national parks aren’t as good value for overall experience because they don’t have the same chance to see all the animals. This obviously depends on what you are looking for though. You are going to be in a jeep with nowhere to hide from the sun. If you don’t wear a hat then this can really affect the total enjoyment of the Safari and you can end up burning the top of your head. If you purchase a protective hat, like the picture below, it will positively affect your safari experience AND you will look like an authentic safari explorer in your photos! The temperature in the morning at 5.30 am will be very different to the temperature at midday. Do yourself a favour and purchase some trousers that change from trousers to shorts. This will help you feel as comfortable as possible throughout the safari. This is especially important if you are getting a safari to Yala as the ride to Yala national park is about an hour so you can get very cold on the way there. You DO NOT need to wear walking boots or special shoes on any Sri Lanka safari. You are not allowed to leave the vehicle at any time just in case you get; eaten, trampled, maimed or anyhting else the wild animals want to do to you. This means you should wear the most comfortable shoes you can to maxmise your experience. DO NOT wear flip flops or sandals as if there is an emergency you don’t want to be tripping over yourself. Do you want to be able to take decent pictures to keep your Sri Lanka safari memories? Then you need to have at least a half decent zoom because not all of the animals are going to be coming over to your car. I also understand that you are probably not going to be able to fork out $3000 on a new camera and telephoto zoom lens. That’s why I recommend the Sony DSCHX90V/B. Yes, it has a stupid name but it’s lightweight and it’s incredibly versatile. You’ll be able to use it for pretty much everything that a traveller will need a camera for. Nikon DSLR – Nikkor 18-300 AF-S – For the price, this lens is an absolute steal. It’s a cropped lens so you get over 400mm of effective focal length and it performs very well throughout the entire range. If you have a cropped Nikon then this is simply a must buy. Sony Mirrorless – Sony FE 100-400 G Master – This is a little pricier than the Nikon DSLR lens I have recommended above, but if you buy this lens then you will never need another lens for wildlife, sports, or anything that requires a large focal range. It’s full frame so I only really recommend it if you have a full frame Sony mirrorless camera, other than that do yourself a favour and treat yourself. If you have any other make then I recommend at least a 300mm focal length on a cropped sensor and a 400mm focal length on a full frame. My partner took a camera that had a 55m focal length and she could hardly capture anything at all. Binoculars for everyone, with a decent enough range. Cold drinks constantly throughout the day, without having to ask. Breakfast, consisting of sandwiches, fruit, chocolate and biscuits. Private tour. We booked for two people and there was only two of us. Don’t get put with 10 other people, it really does ruin the experience. Do you have any experience to share, good or bad? Do you have any insights into any of the other safaris available in Sri Lanka? Please share in the comment section below! Oh how cool to see those leopards! I have never considered going to a Sri Lankan safari, didn’t know it as “a thing”. Thanks for sharing all the pertinent information. Looks interesting and very fun! Exactly! We had no idea either until we were planning the trip. It has be up there if you are visiting. Loving the leopards. Never knew you could go on Safari outside of Africa really so thanks for enlightening us! No problem! So many people say they didn’t know, we certainly didn’t. We both caught the safari bug though! Wow, looks like you guys had a lot of fun! The leopards are such beautiful creatures! I love safaris, did a few in South Africa, but not yet in Sri Lanka. Thanks for sharing! It was one of the best days of my life (Kev). I hope we follow in your footsteps and see some of the African Safaris as well! I’ve never done a safari before, but this sounds wonderful! I love all the animals that you are able to see and all the different time options they offer! Want to try this someday! We had a brilliant time, I definetely recommend it. I’m glad you’ve brought this up because it’s a view shared by some other people we met and talked to. I’d be interested to know if you went for the all day or not because everyone else that we spoke to who had a negative experience like this went on the shorter tours and all of the drivers go crazy aorund the park to find as many animals as possible. I’m gutted you had a bad experience though. We did a safari in SL and loved it! Great guide- I wish I had it before my trip. Now I want to do one in S Africa! My sister just went to South Africa and did a safari. She said it was awesome so go for it! Glad you enjoyed Sri Lanka. 12 hours seems like a long time but sometimes those long tours show the best of places! My husband has always wanted to do a Safari, so hopefully one of these days we get around to doing one! The 12 hours went by like a blink of an eye. Don’t get put off by how long it seems. Hopefully you guys can get to see one soon! I love nature. I’ve never been to a safari though. Must have been amazing to see all the beautiful animals so close. Definitely try to get on a safari when you can. My sister recently went in South Africa and said that was amazing too.